The Trevelyan Hotel is the ideal launching pad for excursions further-afield by bus, hire car or the vintage railway system which links the twin village resorts of Port St Mary and Port Erin to the ancient capital of Castletown, Snaefell Mountain, Laxey Wheel and sub-tropical Ramsey? in the North. Beautiful glens abroad on the Island together with magnificent hills, rolling countryside and quiet country roads. Set in 80 acres on the edge of the Yorkshire Wolds with spectacular views across the Humber Estuary, Rudstone Walk offers superb bed and breakfast accommodation in East Yorkshire. En-suite bedrooms and suites have been built around the walled courtyard garden adjacent to the farmhouse. 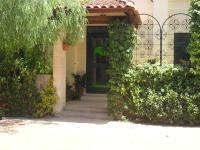 There are 3 well appointed self catering cottages and 3 stable yard self catering apartments. The Knights In Malta B&B is in Naxxar, 3 km from the historical town of Mosta. It offers a hot tub and traditionally furnished rooms with free Wi-Fi and limestone walls. Rooms at the Knights In Malta come with a balcony. The Quay House in Woodbridge, Suffolk is a Grade II listed house which dates back to 1692. Located just a few minutes from the town centre with great views over the River Deben, Quay House is right by the railway station, Tourist Information Centre and many of East Anglia's attractions. The Quay House in Woodbridge offers a choice of 3 double bedrooms, all tastefully furnished and equipped with private bathrooms, a TV and free Wi-Fi.